Nashta Gourmet for wholesome breakfast boxes - CHOMP! SLURRP! BURP! I have mentioned it time and again that even though breakfast is my absolutely favourite meal of the day, I rarely get to grab a proper one. With so many delivery outlets doing exclusive breakfasts and deliveries as early as 7.00 AM, it becomes a bit easier. 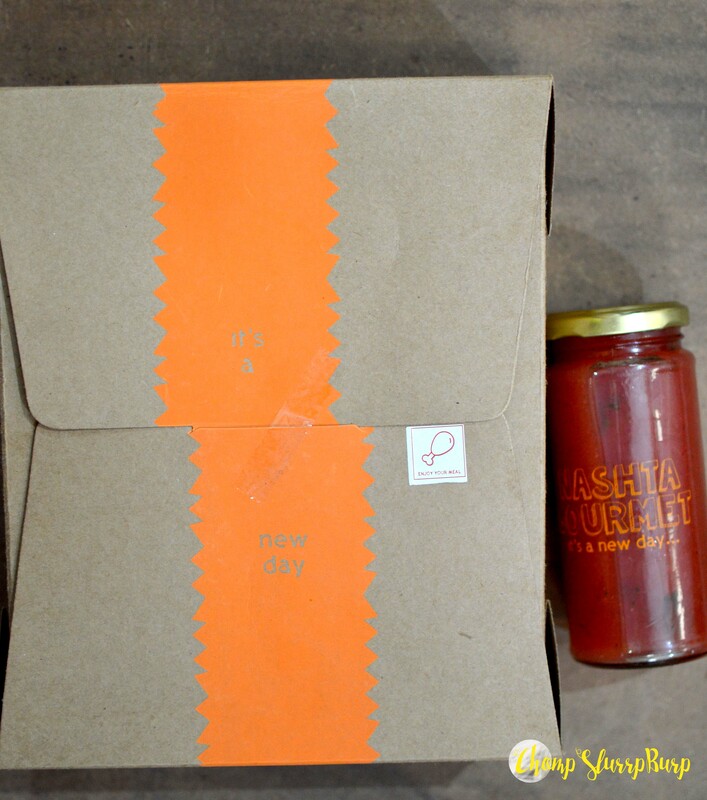 The newest kid on the block – Nashta Gourmet. They deliver customized breakfast boxes, different options for each day of the week and are super economical. The drill is easy – Choose a main dish, they will add the salad of the day, healthy nuts and cookie and you are set. They also have excellent thirst quenchers, priced at 79 INR each. 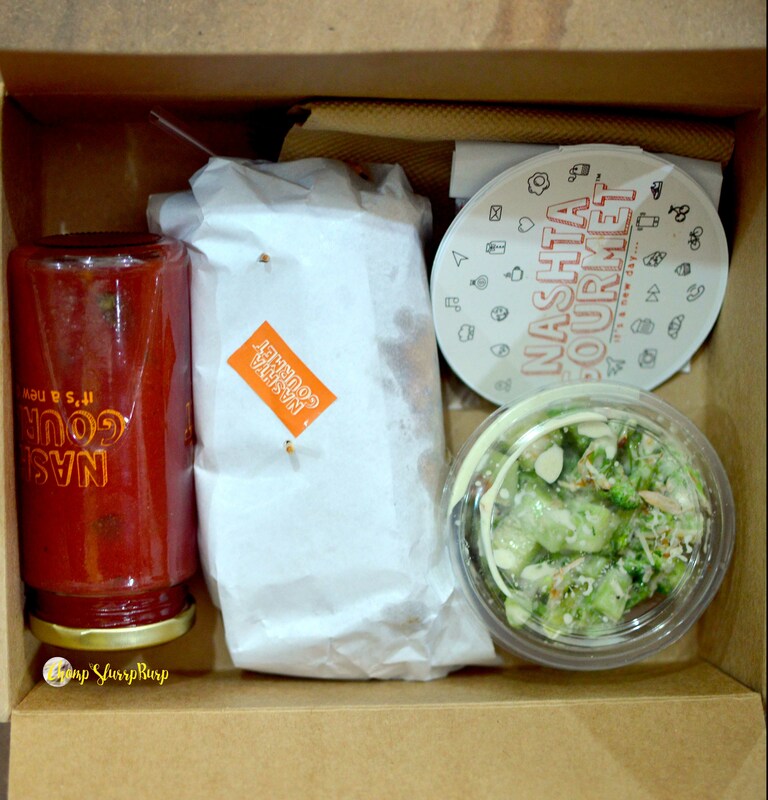 My Breakfast Box – a meaty chicken sandwich, Greek Goddess salad, nuts, multi grain cookie complete with cutlery and after mint. Watermelon lemonade to beat the heat. The meaty chicken sandwich lined with juicy pieces of tossed in mayo lined with lettuce and crunchy bell pepper held together in a grilled focaccia olive herb bread. The Greek Goddess salad with broccoli and cucumbers diced and tossed in mayo topped with almond shavings. Finish up with the super refreshing watermelon mint lemonade – perfect for the summer heat.